Choose daily whether you’ll go for unlimited taxi rides up to 5 km, or rent a car. 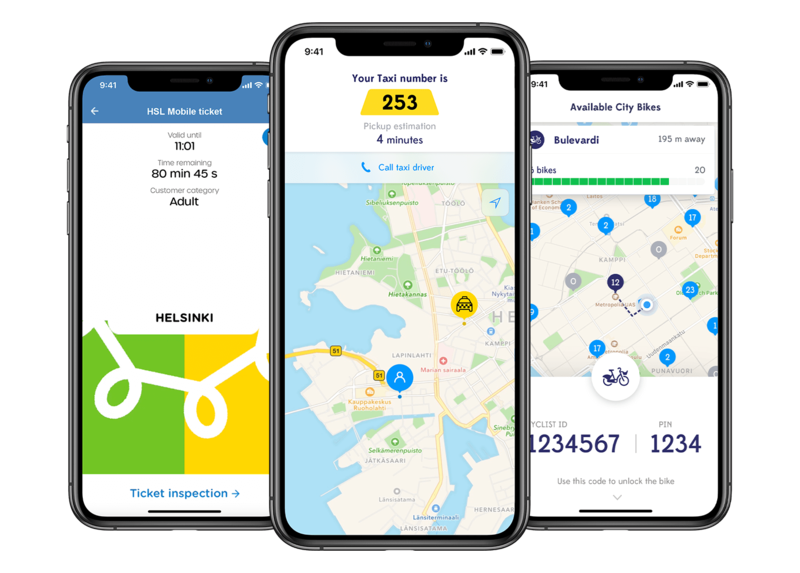 Of course you’ll also have unlimited use of HSL public transport such as buses, metro, tram, and local trains, and as many 30-minute city bike rides you like. Instead of dealing with the hassle of ownership, you simply have a car available when you need one (Ford Fiesta or similar). Need something bigger? Upgrade the car category for an additional daily price, for a day or over the weekend. Unlimited kilometres included. Our new pilot also brings ALD Car Sharing to Whim. Cars can be picked up from EuroPark’s P-CityForum parking hall. The first 2 hours each day are included in your Unlimited subscription. Rides over 2 hours are charged per 30 minutes (€5/30 mins, up to €89/day). Fuel is included. Registering for car sharing is simple in Whim – just send photos of both sides of your driver’s license in the app’s Help center. We want to make public transportation available for everyone. That’s why we’ve included all taxi rides in a five-kilometre radius (excluding the days when you have a rental car). Cheap taxi rides easily get you from home or work to the nearest train or metro station in a way that’s fast, comfortable, and still a better choice for the planet. For journeys of over 5 km you’ll pay the normal taxi fare. But it won’t be a surprise – Whim gives you a cost estimate beforehand when ordering the taxi. Whim Unlimited includes an unlimited number of HSL single tickets. 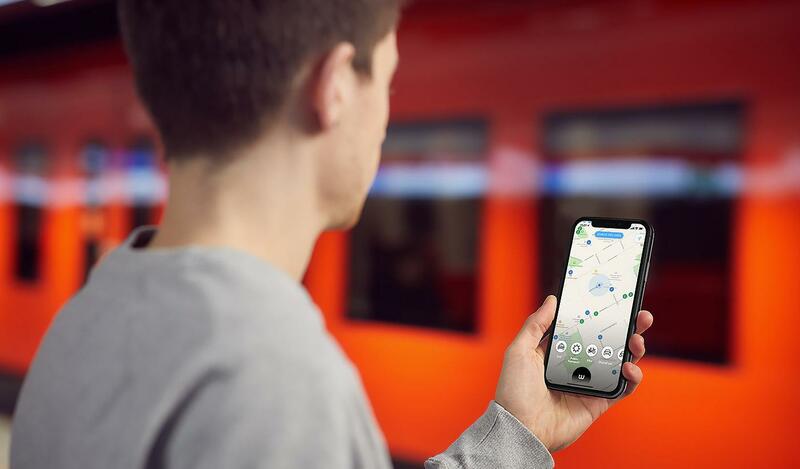 You will be able to travel by bus, metro, tram, ferry, and local trains in the HSL area. If you live in Espoo or Vantaa, you can order a regional version for an additional €50, or an Extended Region 2 or 3 for €100. Valid in HSL Regional region. 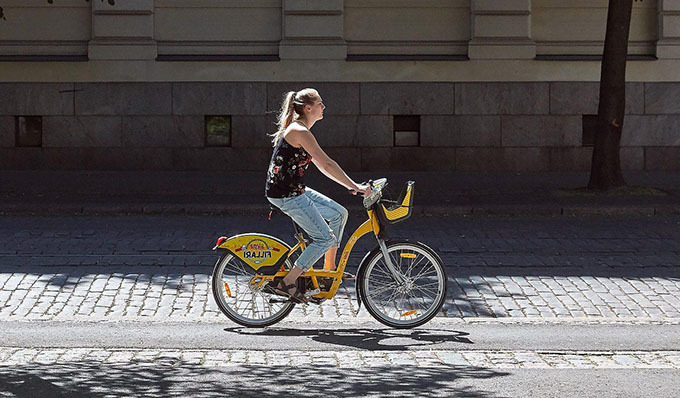 With Whim Unlimited, you can use city bikes in the Helsinki and Espoo region any time you like for up to 30 minutes per ride. You can see stations and available bikes on the Whim map; just find a bike station, and use your personal code to unlock the bikes. If you want to cycle longer than half an hour, the usual fee (€1/30 min, max 5 h) will be charged for the extra time. Your subscription is automatically renewed, so you don’t need to remember to renew it yourself. When you discontinue your subscription, it expires at the end of the billing period. Afterwards you can still use Whim by paying for each trip as you go. 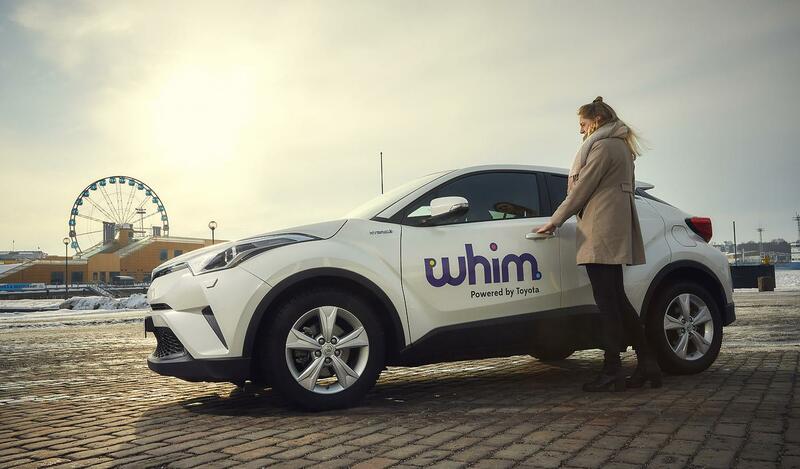 Whim allows you to travel seamlessly in all the cities where the Whim service is available. The first ones on board are Antwerp and Birmingham!